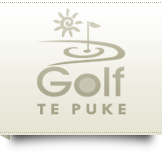 To book a tee time on our Te Puke golf course, enquire about membership , organise a function – or for any other questions or information – please contact Golf Te Puke by either, phone or send us an email using the form below. These emails are checked regularly and we will be back in touch with you promptly. If you would prefer to call, fax or send standard mail, please find our Te Puke golf club’s contact details below.